Hi friends! It’s that time of year – time to break out the picnic tables and yard games and throw an old fashioned outdoor Block Party! 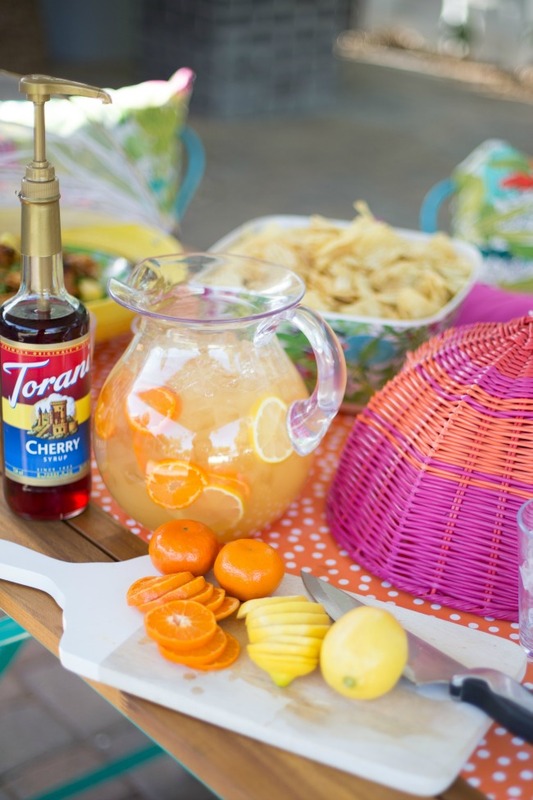 We had the awesome opportunity to collaborate with some of our favorite bloggers and Cost Plus World Market to bring you the BEST in Block Party ideas, tips and recipes! As always, World Market is my entertaining destination, bringing you the best in Outdoor Dining and Entertaining and Outdoor Food and Drink! 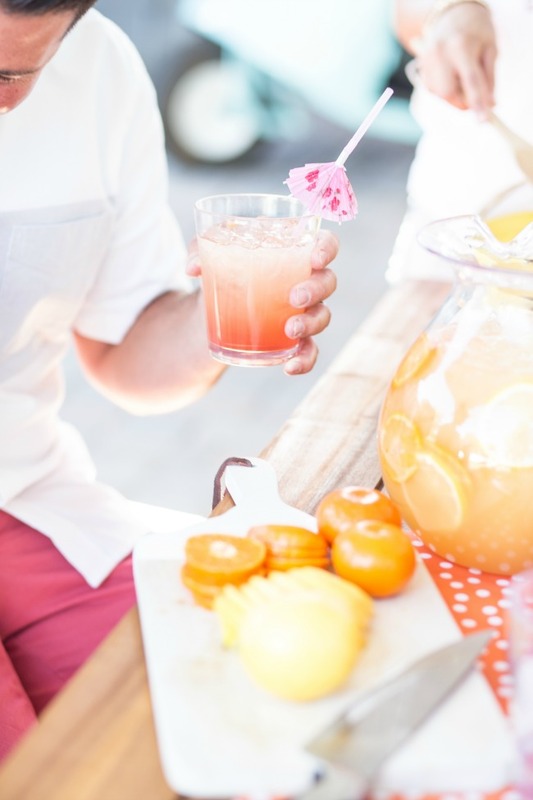 And today we’re kicking off the Block Party goodness with a delicious beverage recipe – this Banana Rum Punch! 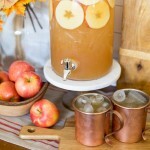 I love to serve punch cocktails for entertaining. 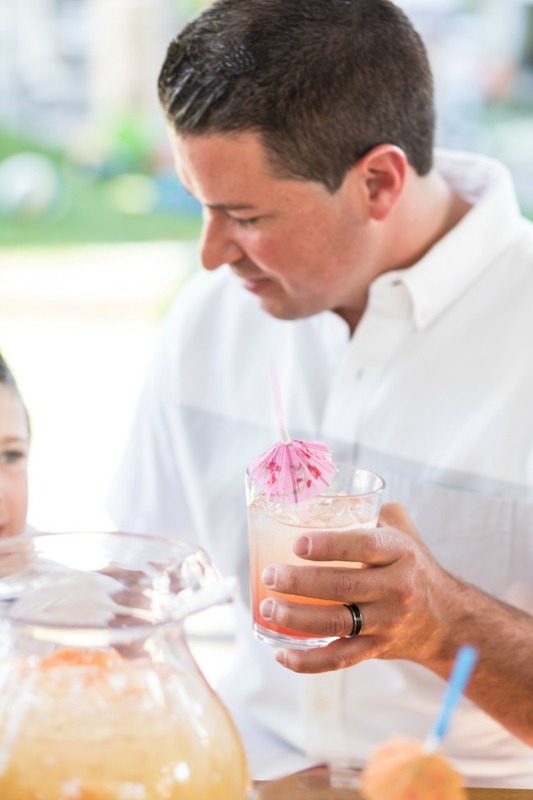 Not only are they easy to put together, but they’re easy to serve and the guests always enjoy! And this recipe is no exception. 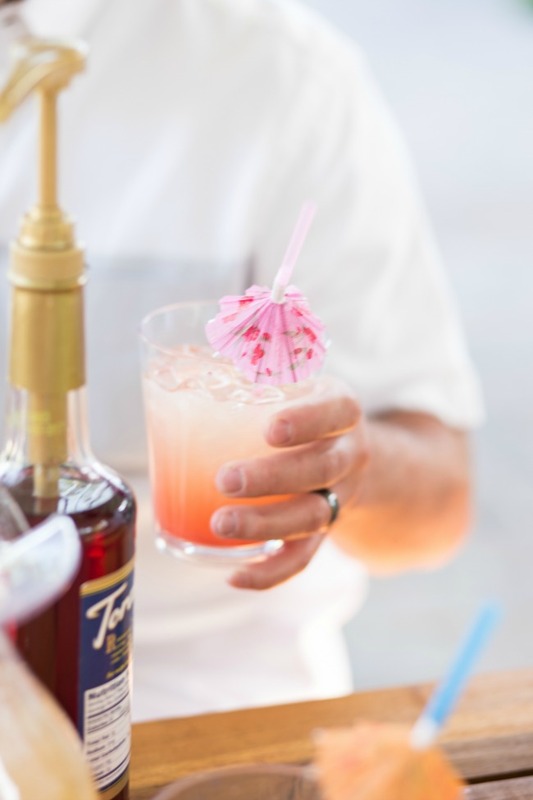 We combined our favorite banana rum, pineapple juice, orange juice, and ginger ale for a taste that is nothing short of tropical paradise. But the KEY to this cockail is the Torani Cherry Syrup! 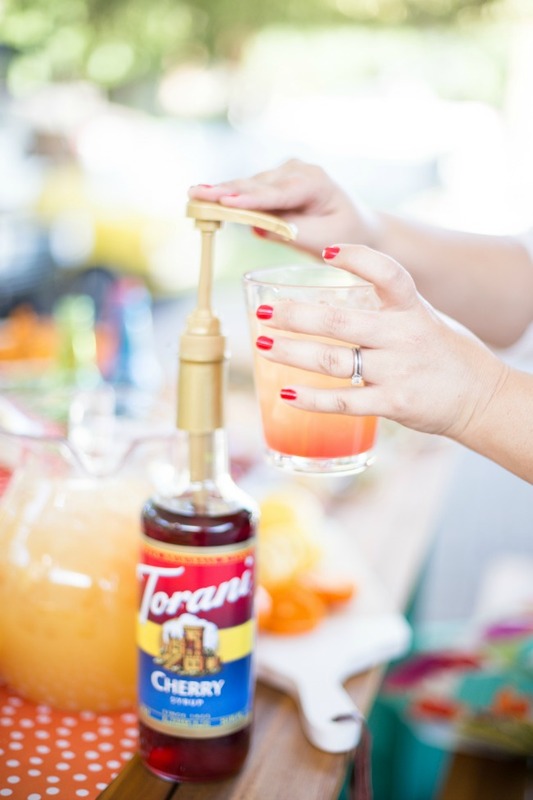 Once you combine all the delicious flavors of the tropics in one lovely pitcher, simply pour your beverage in a cute little acrylic tumbler over ice and top with a pump of Torani Cherry Syrup. DELISH! 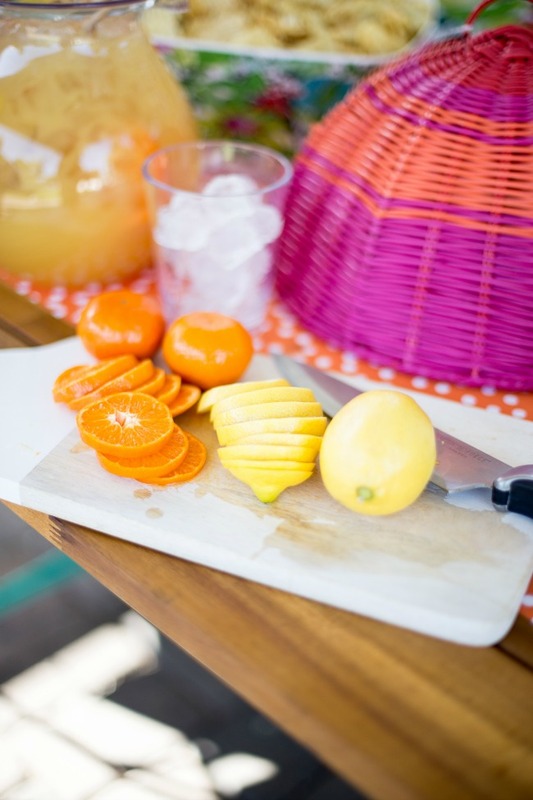 Top it all off with some sliced oranges and lemons on a cutting board for added garnish and goodness. 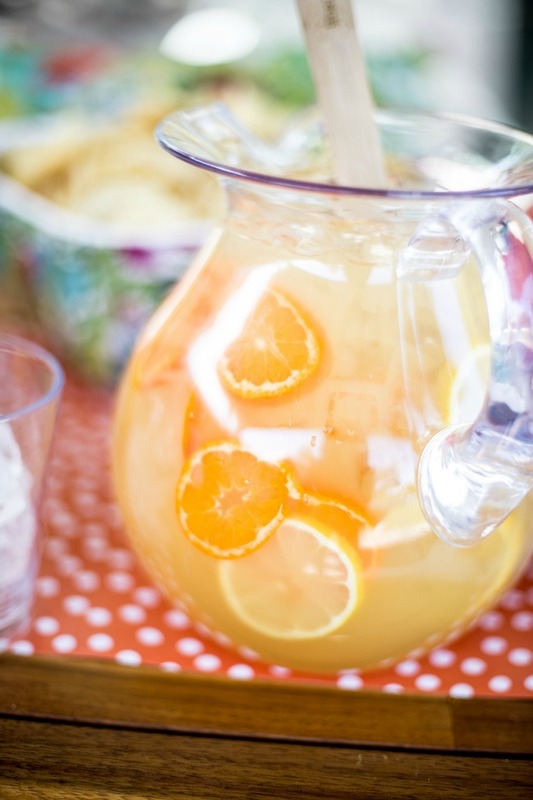 And there you have it – a Banana Rum Punch that is sure to be the talk of the party! 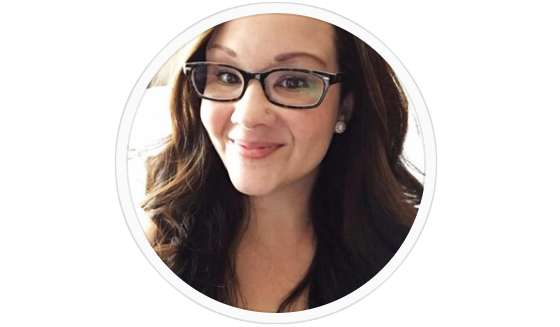 They don’t have to know that it only took you minutes to put together…your secret is safe with us! 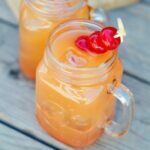 Now here is our Banana Rum Punch recipe for easy reference! Mix banana rum, orange juice, pineapple juice and ginger ale together. 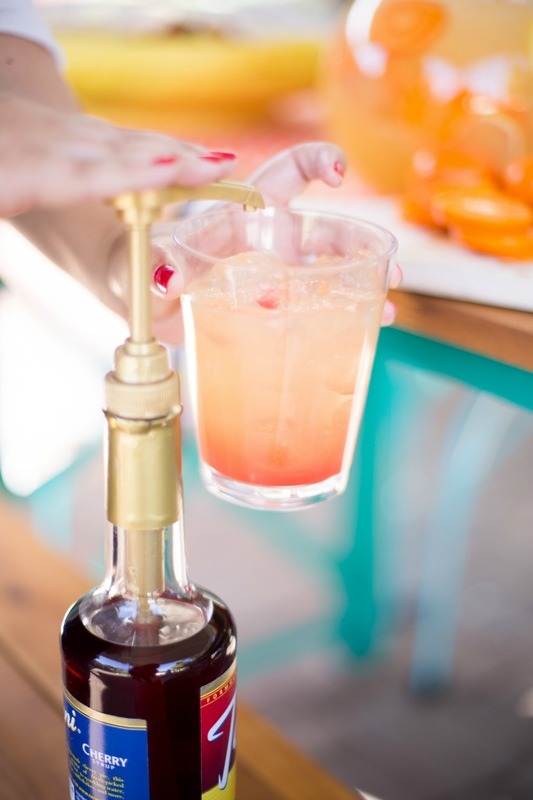 Pour into each glass over ice and add one pump of Torani Cherry Syrup, which will sink to the bottom for a beautiful ombre hue. Serve with orange and lemon slices for garnish. 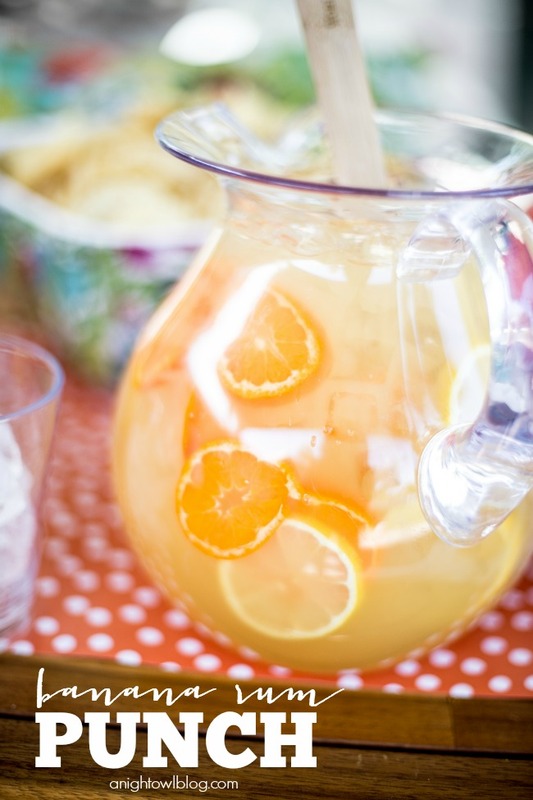 Thank you to World Market for sponsoring today’s Banana Rum Punch recipe! All thoughts and opinions are our own. 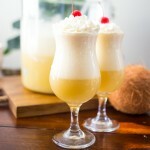 What would you suggest as a substitute for the pineapple juice? Ooooh good question, Latacha! 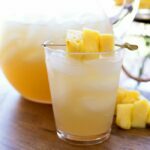 I think any other tropical fruit juice would be delicious as well – perhaps mango? Instead of the cherry syrup can I use the red grinidine? Thanks. 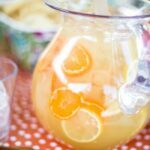 I’m making this punch tomorrow for my husband’s birthday party. Yes! That’ll be just about the same. Enjoy!